See the range of merchandise as Universe of Energy becomes extinct. Epcot, when it first opened, was all about innovation and the world. It dealt with interesting themes, like Communication, the Ocean, and health. It dealt with whimsical and lighthearted themes, like Imagination and transportation. 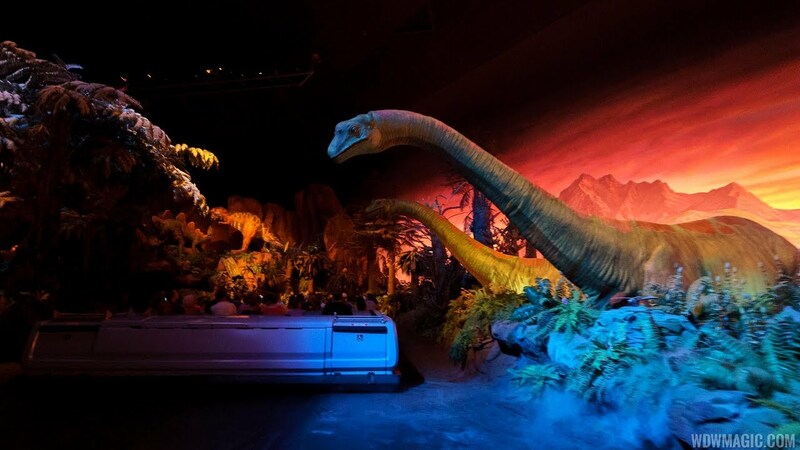 Epcot also dealt with serious themes, the best example being the Universe Of Energy. The attraction was completely understated from beginning to present. The pavilion featured a documentary style look at the story of energy while adding in unique special effects, and one of the most technologically advanced ride vehicles in theme park history. The whole show was unique and was an inspiration to anyone interested in it's concept. The only problem was that the pavilion's dramatic feel was immediately written off as boring and way too educational. In 1996, that all changed. The pavilion received a few outside aesthetics, and some major inside ones. The new attraction, Ellen's Energy Adventure was far better than it's predecessor, entertainment wise. The documentary style was gone and now replaced by a humourus but still educational look at energy with host and hostess Bill Nye the Science Guy and Ellen DeGeneres. Also involved were a couple of other big names. Overall the pavilion has continued to educate and entertain to this day and hopefully in the future as well. The Universe of Energy pavilion is located in Future World East at Epcot. It currently features the attraction "Ellen's Energy Adventure". The Universe of Energy pavilion has hosted two attractions, the Universe of Energy which opened October 1 1982, and Ellen's Energy Adventure, which opened on September 15 1996. The roof of the pavilion contains 2 acres of solar panels which help power the attraction inside.